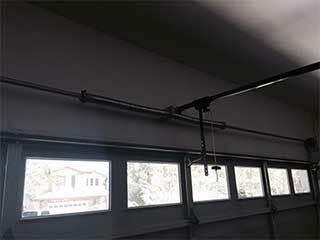 The performance of a garage door system depends on the good working condition of its parts. The springs, in particular, play a pivotal role. Your system relies on these components to counterbalance and support the weight of the door and assist in its up and down movement. Therefore, they are extremely crucial and must be regularly inspected and maintained in order to live up to their full potential. There are different types of garage door springs that are in use today, and our technicians have the knowledge as well as the skill to install or replace all of them. From galvanized to oil tempered springs, you can rest assured that we can find the perfect choice for your specific door. Extension springs are usually installed in pairs, one on each side of your door, and because of their stretching and contracting action, they can go flying around your garage when they break. Torsion springs, on the other hand, are considered the safer and more durable option, and only one is usually installed for moderately heavy doors. These components operate by twisting and unwinding when the door closes and opens. While torsion springs are less likely to whip around when they break, they too are dangerous, and must only be handled by experts. Trying to adjust, not to mention replace, any of these components by yourself can lead to catastrophic results. Our technician can perform any spring adjustment or replacement task that you may need, without risking your safety. If you'd like your door springs to last for as long as they can, we can make that happen. Our technicians can inspect their condition on a regular basis, make sure they aren't overstraining and even lubricate their coils to ensure their smooth and silent performance. If we notice they're getting a little too worse for wear, we'll replace them on the spot. This will prevent them from breaking unexpectedly, which, as we can't seem to stop stating, is terribly dangerous. Our team at Garage Door Repair Brooklyn can help you deal with any type of spring-related problem. We specialize in replacing and caring for these important components and can perform any necessary task quickly and safely. Call us today.